To keep up to date with your latest messages you'll usually need to keep your phone online and that may mean you quickly burn through your internet allowance each month. Now Facebook has released a new tool to help you use Facebook Messenger while using less data. It's called Messenger Lite and is a new, limited version of the app you're likely used to using. Facebook has rolled the app out to the US, UK, Canada and Ireland while it was already available in Australia, India and over 100 developing countries beforehand. Sadly the app is only for Android at the moment (you can download it from the Google Play Store for free) and according to TechCrunch there are no plans to make an iOS version in the future. Once you've got the app on Android from the Google Play Store you'll then need to open up the app and sign in with your normal account information, much like if you were setting up the normal Messenger app on your phone. You'll then be greeted with your normal list of active chats with your most recent messages, but a few features you may be used to using will be missing. 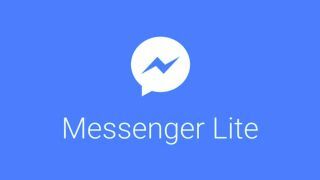 You won't be able to video chat through Messenger Lite while the chat heads feature that pops up over the top of other apps won't happen when using this version either. The key features of Messenger Lite are that you can send normal text based messages, emoji and photos, but that's it. It means there's no voice calling or other multi-media that will use up your data quickly, and hopefully should mean you save some internet each month.